EA believes there is scope to remake the classic, strategic Syndicate from the early nineties. But if it did, it probably wouldn't create a game for HD consoles, rather mobile phones, tablets and PC. EA is working with The Darkness developer Starbreeze Studios to make a new Syndicate re-imagined as a modern FPS - one that's sparked controversy among veteran fans of the original real-time strategy game. 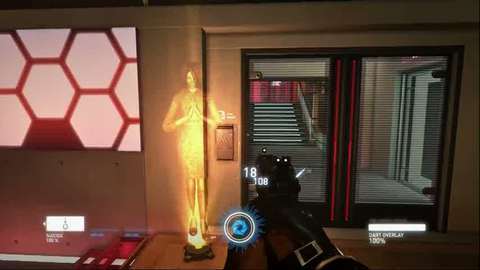 But that doesn't mean fans won't see a Syndicate game more in keeping with its roots, EA said. "The original was such a classic. There is scope to remake it," Jeff Gamon, EA Partners executive producer, told Eurogamer. "But I don't think it necessarily has to be exactly the same genre. If we did there are probably other platforms which are more suitable for it than the consoles we're making it for, if we wanted to go in that more strategic route, that perspective. "I would love to see Syndicate as a true franchise again, bringing it back and expanding it out onto whatever platforms it's suitable for." iOS and PC? "There's loads of potential," Gamon said. "We're not limited at all. But that's purely speculative at this point." The first Syndicate was an isometric real-time tactical game developed by Bullfrog. It wowed gamers with its gritty, cyberpunk world and deep tactical gameplay. Starbreeze's Syndicate, however, is a first-person shooter for PC, PlayStation 3 and Xbox 360 with a four-player co-op mode. And it's Starbreeze's effort that is key to any potential remake of the original. "We're always looking to build franchises rather than just one-off games," Gamon said. "Syndicate was a classic franchise and brand, but it's been a long time since it's been out there. A lot of today's gamers don't know it. So we need to go out there with a game, with a brand, and establish that brand and just take it from there."